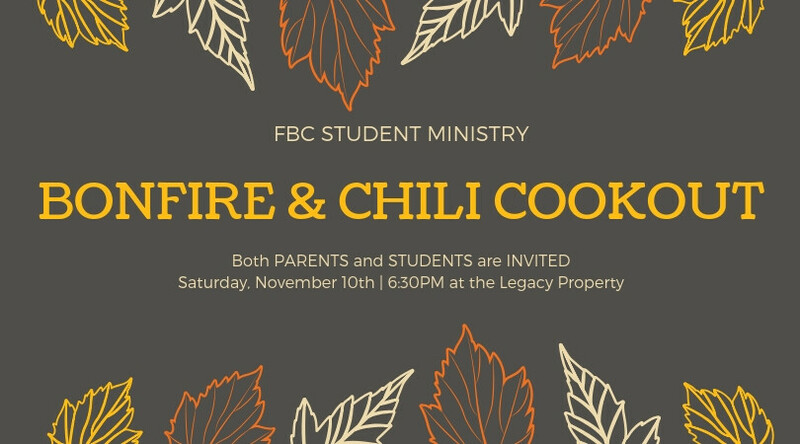 Parents and Students are invited to a fun night of chili and bonfire at Legacy. We will kick off at 6:30PM. Middle school families are encouraged to bring a sweet and High school families can bring drinks. I hope you can join us!